With this product, you do not have to fit a new back plate. The ST699B time control programmer can be used as a replacement programmer on gravity primary or fully pumped systems. The ST699B has a proven easy to use design. The front panel of the programmer will fit to the same backplate. Programming the timing sequence is straightforward, using the top slider switch and [+] and [-] buttons. There is a 24 hour programme with two on/off perids per day ensuring your central heating only goes on when you need it. 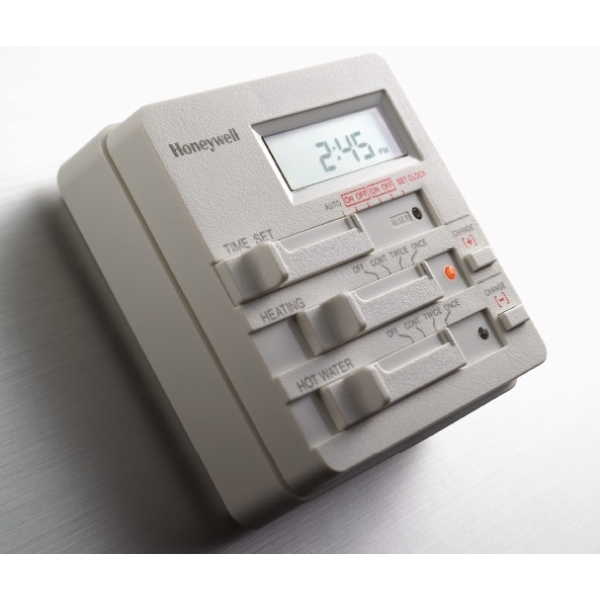 It wont break the bank - Fitting a thermostat to control temperature is the first and most important step in improving the efficiency of your heating system. Its also the simplest and cheapest. Creature comforts guaranteed - Thermostats ensure your boiler works more efficiently to provide heating that works in harmony with your lifestyle keeping you warm and cosy at the right temperature at the right time. **TACMA Potential savings figure based on a four-bedroom semi-detached house.